Several cases of neurological disease associated with equine herpes virus (EHV) have been confirmed in horses at a property in Warren County, Iowa. The disease was confirmed in the stable after horses began to show symptoms including fever, decreased coordination, lethargy and inability to rise, the Iowa Department of Agriculture said. It said all horses at the facility were being monitored and were not permitted to leave the site. 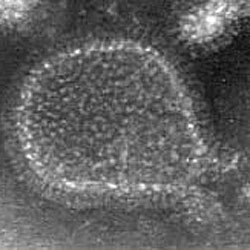 EHV is a reportable disease in Iowa. It is spread by direct horse-to-horse contact or through contact with objects contaminated with the virus. This can include tack, grooming equipment and feed and water buckets.